They do things differently in Mexico. 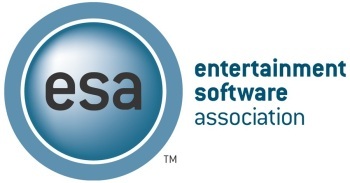 The Entertainment Software Association's Annual Report for 2012 is out, and it discusses the issue on every developer and publisher's mind: piracy. The ESA has been vigorous in its efforts to combat piracy, and it's been sending out website takedown notices left and right with significant successes. The ESA also wants the world to know about major enforcement actions in the US, Canada and elsewhere, so that we might see what happens to those who infringe. In the US and Canada, it's fairly mundane stuff. Some dude in California, say, starts selling pirated Xbox titles on Craigslist, so the police move in. Most of the busts stay at the local PD level, with the exception of a couple retailers in California who managed to get on the FBI's radar. In Canada it's much the same, with the perpetrators usually receiving a year or two's probation and a fine. In neither jurisdiction are there more than half a dozen cases listed, and most of the arrested have piddling amounts of tech and goods in hand. The Craigslist fella, for instance, had 20 pirated games and 9 modded consoles when LA County Sheriff's Department took him down. Dillinger he was not. Cross the border into Mexico - where prices for legal software and hardware are about 40-60% more than in the States - and things get interesting. "[In July] PGR agents, supported by 300 members of the Mexican Army and state police," the report claims, "undertook a large-scale enforcement sweep against sellers of counterfeit goods in the San Juan de Dios and La Fayuca marketplaces in Guadalajara, including 80 outlets that ESA's local counsel identified through prior investigations." That sweep netted 194,000 pirated games and a similar number of blank discs. A March sweep in Mexico City, with 200 police officers, 8 locksmiths and ESA's local counsel - possibly channelling his inner Hemingway - in tow, took out 17,194 pirated games and 107 disc burners. A similar story is told in Brazil and Singapore, jurisdictions where either prices are artificially high, or piracy is much more acceptable. The ESA means business when it comes to piracy; but it's clear that, for the ESA, business means different things in different jurisdictions.